Are you looking to furnish a living room, family room or finished basement? If so, you likely need a piece of furniture to accommodate your television and other electronic entertainment equipment. 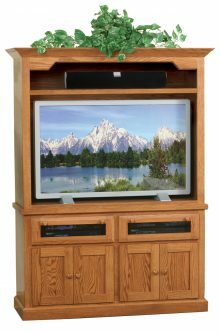 We have a large variety of Shaker flat wall TV stands and entertainment centers that will meet your needs. Our Shaker TV stands are designed to rest flush against the wall. Not only is this design perfect for modern flat screen TVs, but it saves space and makes your room more livable. You’ll enjoy watching your favorite movie or TV show in style. Amish Shaker furniture originated from the Shakers, a religious group that came to America in the 18th century. The Shaker style is known for its clean, elegant lines that add traditional charm to any home. Shaker furniture is also made from solid wood, which makes it much more durable than modern particleboard or pressboard materials. Our Shaker flat wall TV stands are a durable and stylish addition to your home décor. 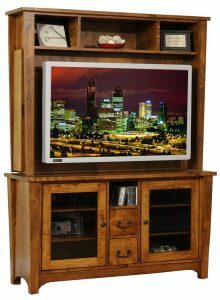 Our Shaker flat wall TV stands are available in several different wood types and stain colors. 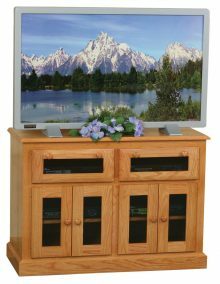 We offer most flat wall TV stands in oak, cherry, Q.S. white oak or maple. Each wood type is available in several stain colors. We offer a wide range of light, dark and medium finishes. 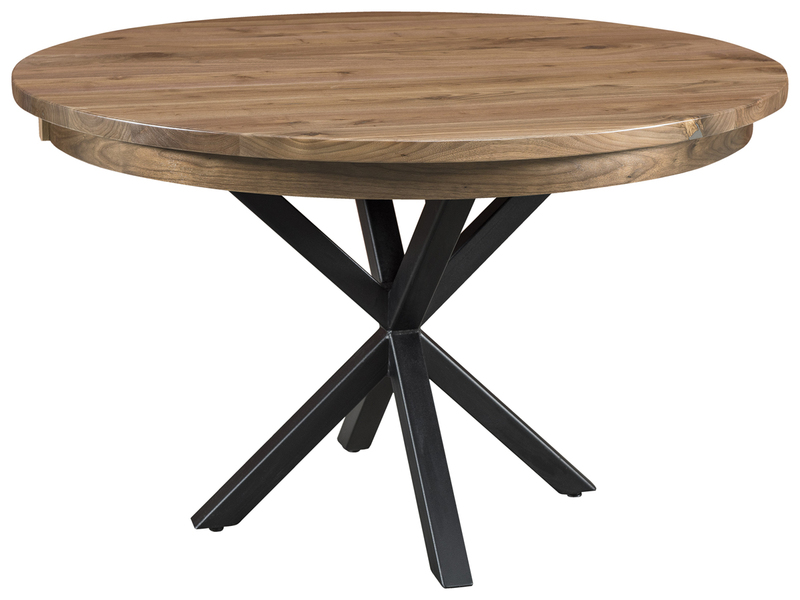 Whatever your preferences are, we’re sure to have an option that matches or provides a unique accent to your existing furniture. We offer Shaker flat wall TV stands in a number sizes and styles. We have open designs so you can display your favorite items, and we have closed designs with drawers and doors to provide additional storage space. Or, choose a design that has a combination of both! If you need a larger piece, you may be interested in our Shaker flat wall entertainment center, which features a hutch with additional storage shelves. 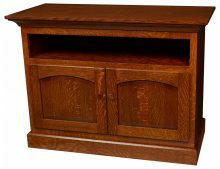 Our Shaker flat wall TV stands are handmade from the highest quality materials by our expert Amish crafters. The superior quality and durability will ensure your flat wall TV stand lasts for many years to come. Purchase a Shaker flat wall TV stand from AmishOutletStore.com today and get up to 33% off the regular retail price!